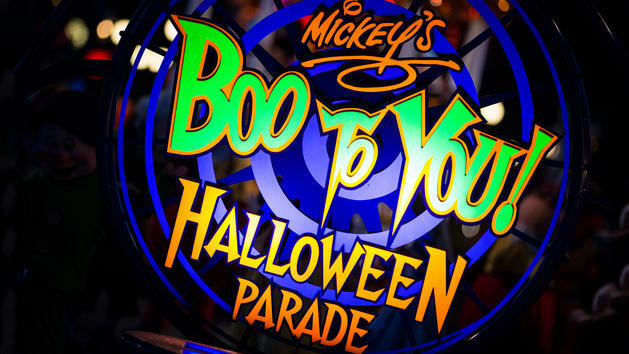 The Boo to You parade that is part of Mickey’s Not So Scary Halloween Party is a great parade but it hasn’t really had changes or updates in many years. I also believe that it could have a better visual story flow. So here is a proposal for a new Halloween Parade. I have reused many of the elements of the current parade since it would help keep the potential cost of the proposal down. I mainly focused on costuming or including altered elements from other parades to create a new feeling for the parade. One goal that I also wanted to achieve was to create some interchangeable aspects of the parade that would allow for slight differences each year. While the one time guest wouldn’t notice these annual visitors would most likely appreciate these touches. I broke the layout of the parade into themed groups that are described below. I also attempted to try my best to create transitional elements between these groups. This group would use the Clara Cluck Barn float as it’s center piece. Accompanying the float would be scarecrow performers. For the scarecrows I imagine a more cartoon appearance with pumpkin heads similar to those in town square during Halloween. Their costuming would be traditional scarecrow though with more of a jeans and flannel look. These performers would come in two main types standard and headless. Headless scarecrows would use the same trickery as the headless horseman. The implementation of a harness which would raise the shoulders of the scarecrow to the above of their head. To make these headless scarecrows interactive they would each carry their pumpkin heads. The heads they carry could then use rear projection or some other technology to allow their face expression to change. Their mannerism would be almost clown like. Imagine a headless scarecrow stumbling around with a worried expression on the pumpkin in it’s hands; it stumbles towards the crowd stopping at the curb in front of a child and the expression turns to a smile. Additionally, if the rider balls from Spectromagic were still around they could be overlayed to look pumpkinish and a set of scarecrows would ride them around. To transition they could either have a set of Disney characters like they have in the current harvest section or they could have a set of scarecrows handing off vegetables off to Royal bakers or attendants which transitions to the next group. After the passing of Ball and building off the fact that it was Cinderella’s story the clock tower float would strike midnight and the Haunt Mansion set would come out. I see little problem with this section of the parade since it unique and contains many fan favorites. The order of this section should leading with the Ballroom Ghosts which connects to the costume ball just seen, then the hitchhiking ghost and ending with the gravediggers. Following the gravediggers would be a set of pirates with picks or swords. Those with picks would slightly mimick the gravediggers. Then the Jack Sparrow Float followed by more pirates. This section of the parade could be improved through the use of makeup on certain performers. The desired technique would be to use translucent paints so that that when a black light was passed over their face would change, this would help recreate a scene from the first Pirates of the Caribbean movie and could easily be up or down played to suit who the pirates were interacting with at the time. The black lights could either be hidden in the prop they are carrying or could be a palm hidden device. Finally this section would end with Hook’s Ship which would also help transition to the next group. For the villains section I would prefer to get rid of the band and their odd go go cages float. Hook’s ship acted as both the last float of the previous group and the first of this group. After the ship would follow a group of walking villains. This section would then end with the current villains float. Group 6 – Candy & Mickey and Friends Party. Finally to end the parade on a joyous and fun note it would conclude with Mickey and Friends having a party. Similar to the princess section I think this would should have rotating costumes for the fab 5 at least. They tend to create yearly designs for merchandising purposes anyways so why not incorporate those into the parade. Then the final element of the parade could be Goofy or Vanellope on their candy carts to close out the parade.